Prominent & Leading Manufacturer from Pune, we offer hospital file folders, art card and itc file folders, doctor file folders, pvc file folder, stick files and colored file folder. We are successfully meeting the varied requirements of our clients by providing the best quality range of Hospital File Folders. In order to cater all demands of our precious clients, we are offering an excellent quality range of Art Card and ITC File Folders. 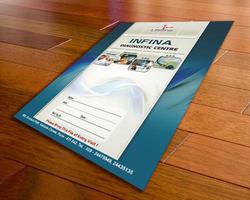 We offer designing and quantities from 2000 to 20000 at different rates. 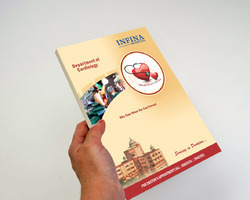 Doctor File Folders are praised by the consumers from medical centres. These file folders are safely finished by our professionals by following all prerequisite features. We have skilled printing experts in our firm. All these folders are made of best pulp and other raw material. Professionals of our team procure the best material for the best processing of all file folders. Stick Files is praised by the consumers from medical centers. These file folders are safely finished by our professionals by following all prerequisite features. We have skilled printing experts in our firm. All these folders are made of best pulp and other raw material. Professionals of our team procure the best material for the best processing of all file folders. 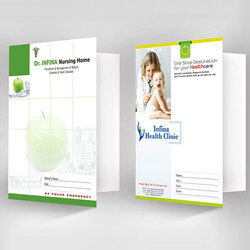 PP Folders is praised by the consumers from medical centers. These file folders are safely finished by our professionals by following all prerequisite features. 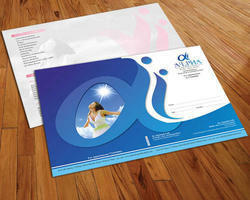 We have skilled printing experts in our firm. All these folders are made of best pulp and other raw material.